This is the only race that allows runners inside the Historical Tustin Hangar where you can really feel like an ant (178 ft tall, thats 17 stories high!). The participants run from one end of the hangar to the other which is no small feet (1,088 feet long, thats 3 football Fields!). Even when the runners leave the inside of the hangar, they can still observe its massiveness from the outside while running the course. 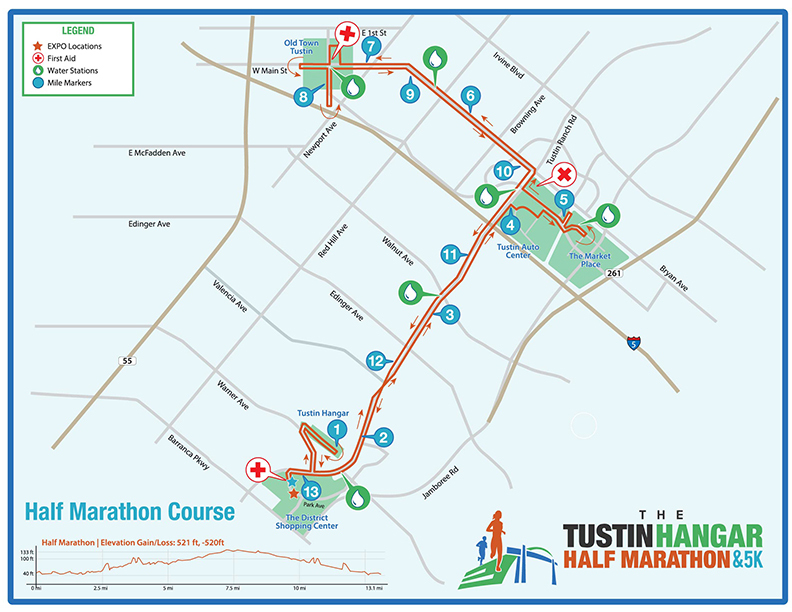 Both 5K and the half marathon will start at The District at Tustin Legacy, a one million square foot open-air entertainment and shopping centre. 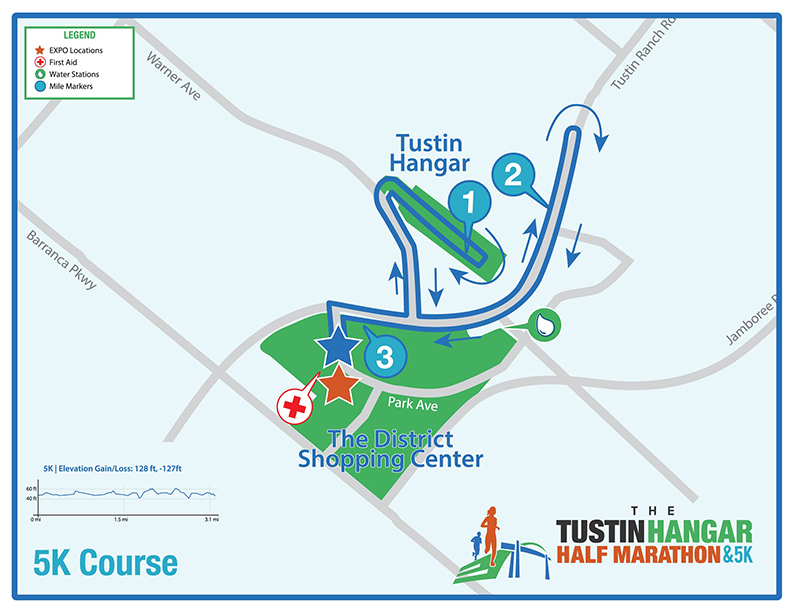 Runners in both races will proceed through one of the two Tustin blimp hangars, among the largest wooden structures ever built and are rarely opened to the public. These impressive structures are seventeen stories high, over 1,000 feet long and 300 feet wide! Medal: All finishers will receive a commemorative medal. 5k and Half Marathon courses: Certified by the USA Track &Field road running technical council. Half Marathon Finish: The Half Marathon then returns to the District for the finish line celebration. 5k Finish: The 5k then returns to the District for the finish line celebration. Age: There is no minimum age requirement. Prohibited: Bicycles, Roller Skates, In-line Skates,Skateboards and Dogs. Strollers/Baby Joggers: Strollers/Baby Joggers are permitted. Wheel Chairs: If a handicapped racer needs special accommodations of any kind, please let the Race Staff know in advance so that they can make the appropriate arrangements for you! Awards: The top 3 finishers in each age division in both the 5k and half marathon will receive a commemorative award. Very well organized. Nothing bad to complain about. If I had a gripe I would have preferred a big oval/circle route rather than a out and back. But I understand logistics play a huge part in race planning with road closures.